We decide to load up our mountain bikes Saturday afternoon and explore a gravel road that David found near Lake Wedington, a lake just twenty minutes from our house. The lake and the recreational area surrounding it has been around since at least the time that my parents went to school here, my dad taking my mom on a picnic back when they were dating, my mom telling me just a few months ago that he only brought bread and cheese, thinking that would be enough for the both of them. Lake Wedington was host to many an outing when I was in school here as well, both my dormitory and David’s holding games and cookouts together, all of us gathered along the lake shore. 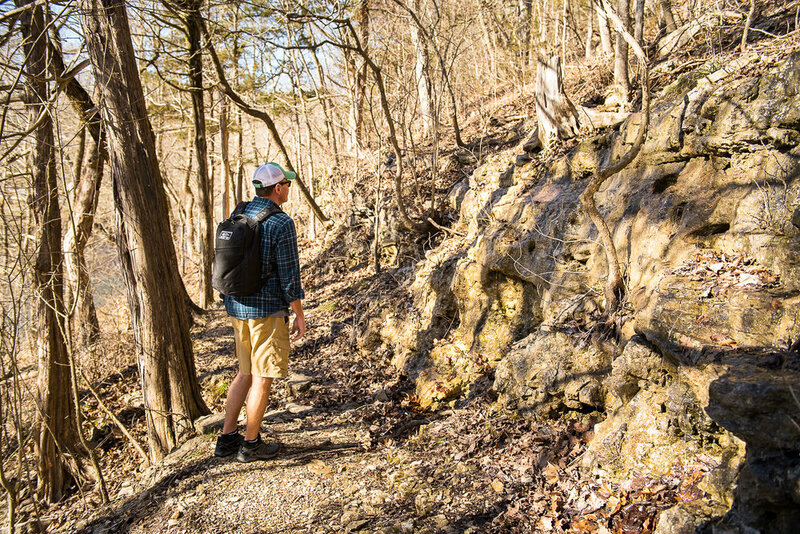 Today, it’s still a popular place for hikers, fishermen and families to explore and play, with the added feature of mountain bike trails. But I’m actually not a big fan . . . yet . . . of mountain biking. Those narrow little dirt trails that wind around bluffs with steep drop offs right next to them make me a little nervous. Add in the speed you can pick up going downhill and it can be little hair raising. Thus the safe, wide gravel road that David picked out for us to ride along. We splashed through streams and climbed long stretches of road. We came to forks in the road, each of taking turns determining which way to go. We had to stop a couple times to climb over huge fallen trees, lifting our bikes up and over. The wild plum trees scented our way, their fragrance our reward for the pedaling we were doing. I had to stop a few times (well, more than a few) to walk my bike up hill, my runner legs not used to biking. I spotted violets, bluets and Johnny-Jump-Ups growing next to the abandoned dirt road we were traveling. Looking out across the little valleys, the taller trees sported the finest of green lace along their branches. We talked along the way, discussing various podcasts, fitness, the difference between single track and double track trails, our trip to Wisconsin and the beautiful trails that we used. We talked about the upcoming storms that we were expecting overnight. We rode in silence, too, each of us lost in our own thoughts. Maybe David will make a true mountain biker out of me yet, but as long as there is good wide dirt to ride on and a creek to splash through, I’ll ride my little red bike with him anywhere he goes. Saturday dawned warm and insanely windy, so windy in fact, that when I took my morning run, a pine cone blew off a pine tree that I was running under and hit the side of my face, making me burst into giggles. That was definitely a first for me during my running career. 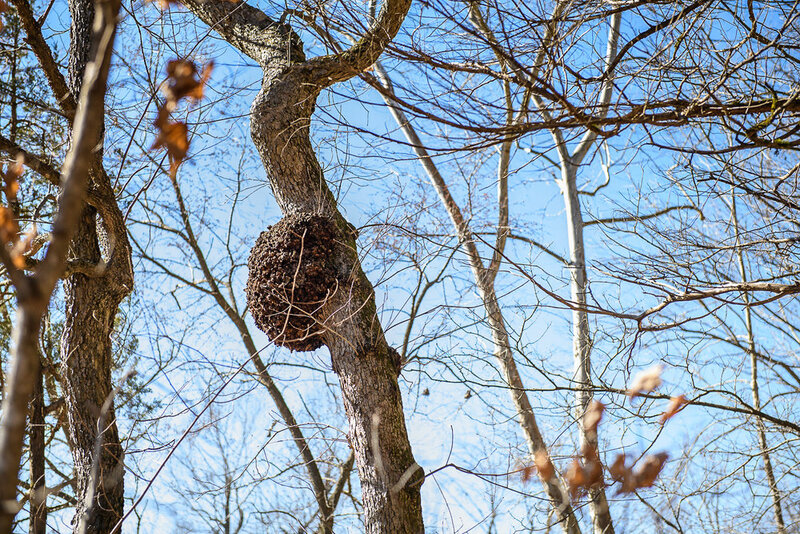 I’ve been chased by sparrow hawks, have had buzzards circling overhead during the height of summer and have swallowed more than my fair share of those little “no see-ums”, but I’ve never had a pine cone hit me upside my head. Needless to say, my Saturday got off to a riotous start. 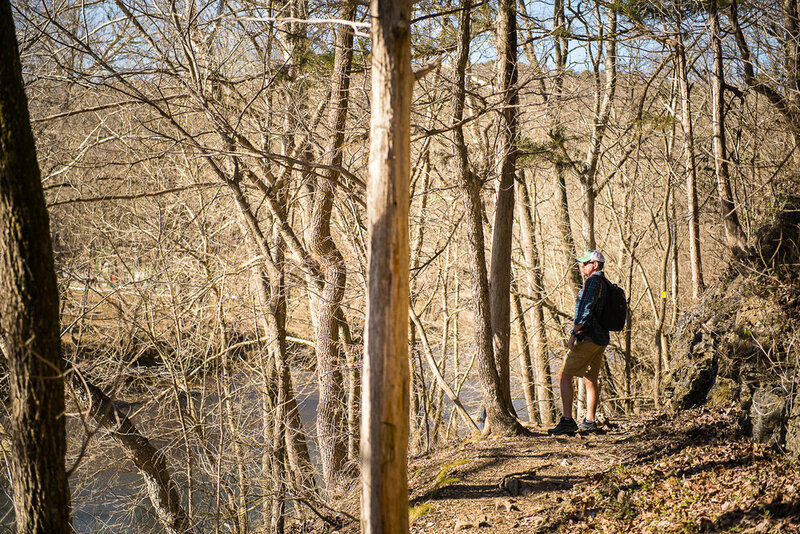 After I got home and recovered, David and I loaded up the car and headed east to the Buffalo National River for an afternoon of hiking the Big Bluff Trail. 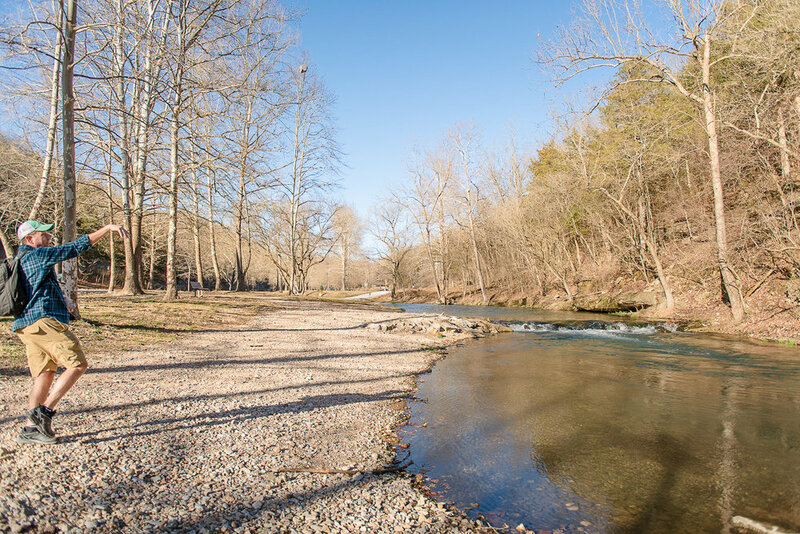 The Buffalo River winds its way through my childhood memories, memories of camping, playing in the water, the smell of campfires and the sounds of crickets in the night air mixed with hushed voices of other campers. As an adult, I’ve floated the river both in canoes and in kayaks. The river is like a family member to the entire state of Arkansas. It’s beautiful, it’s ancient and the bluffs hugging the water tower up nearly 3,000 feet in some places (nps.gov). It was a perfect day to go hiking and exploring. After driving by the trailhead by accident, we turned around and drove back, parked, grabbed our cameras and water bottles and headed out down the trail. The parking lot was full of cars (guess everyone else had the same idea as we had), but we didn’t see any other hikers for nearly 30 minutes. They were a young couple, both a bit out of breath, asking us how much further to the parking lot that they had to go. The parking lot always seems a lot farther off than expected when you’re hiking back to it, doesn’t it? And that was the really the last of the people that we saw until we found the Goat Trail, the connecter trail to the Big Bluff trail. But what a beautiful hike. The trail took turns going from smooth to rocky to muddy back to smooth and easy. We kept getting glimpses through the bare trees of the river valley and bluffs below us, drawing us onward. We stopped to take pictures, David working on his sun bursts, me playing with my little Lego Storm Trooper, all the while making our way further and further down the mountain. All of a sudden we went from hiking a tame dirt trail to climbing amongst bluffs, peering over the edge to the valley waaaaaaaay down below us, pine branches brushing against our faces. My vertigo tried to play havoc with me, but I kept on my bottom and scooted along the more narrow of the rocky outcroppings and David’s hand was never far away from me, especially when I wanted to shoot straight down into the river below me. We climbed, we scooted, we sat quietly. We traded “can you believe these views? !” with other hikers (seems they had gotten a head start on us and were making their way back to their cars ), all the while the sun inching closer and closer to the western horizon. We each took one last picture and then turned back to the trail, starting the three mile hike back uphill, the sunset keeping us company. 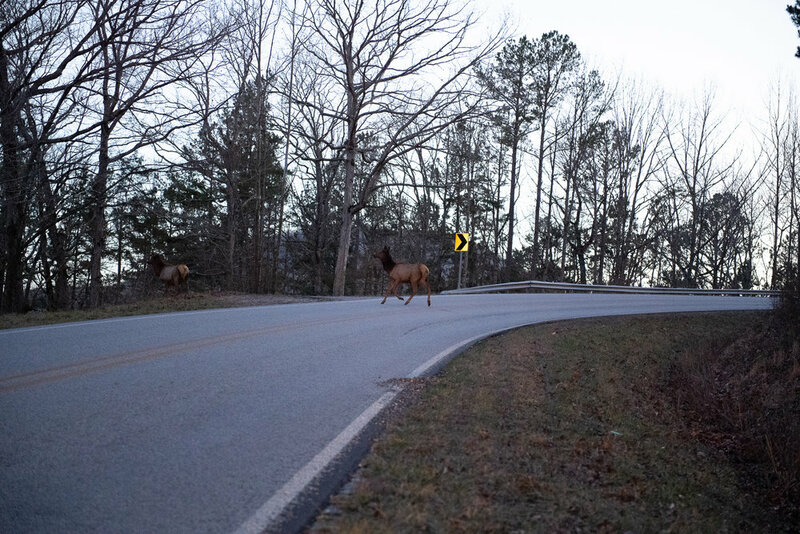 We took the quicker route home, going through Boxley Valley, hoping to see the elk that live there, and lo and behold, we saw one of the biggest herds I’ve seen since moving to Arkansas. Cars were pulling over to the side of the road, people hanging out their windows with the iPhones or standing along the grassy shoulder with binoculars. 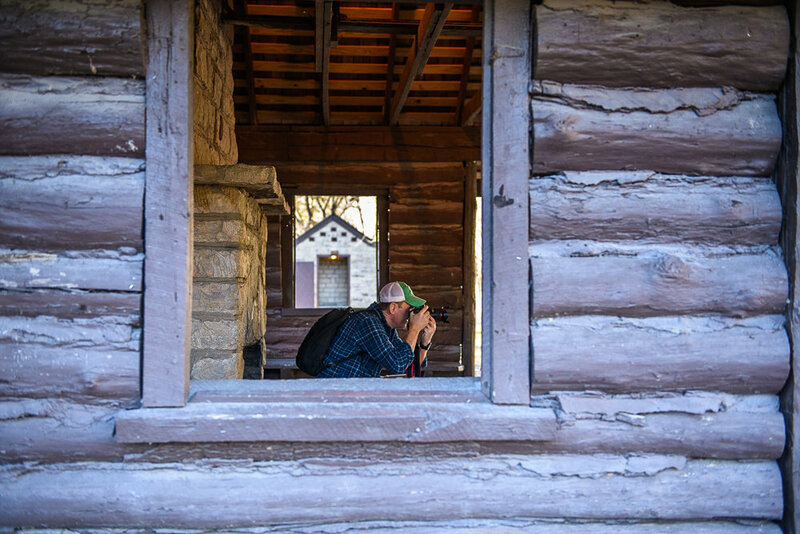 I walked down to the pasture fence with my camera, took a few pictures then climbed back in the car next to David, remarking that I’d never seen so many before as we continued our way along Highway 43 before turning onto Highway 21. No sooner than the words were out of my mouth than we spotted a car pulled over on the road leading out of the valley with it’s hazards blinking. 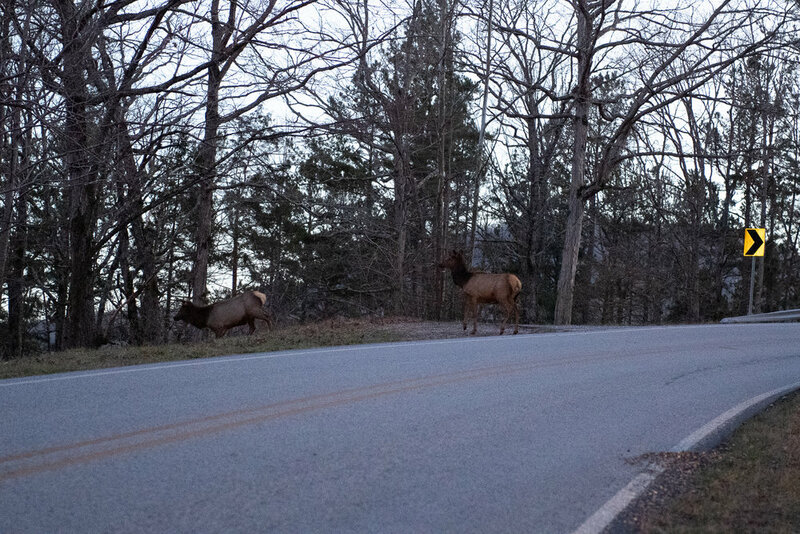 By this time, the sun had practically set and it was pretty dark, but I could make out another large herd of elk trotting across the highway just ahead of us, not a care in the world, and more were streaming out of the woods to our right. I couldn’t believe my eyes. What an amazing sight! As we drove home in the dark, both of us yawning, I asked David what his favorite part of the hike was, something that I like to do after we have one of our adventures. 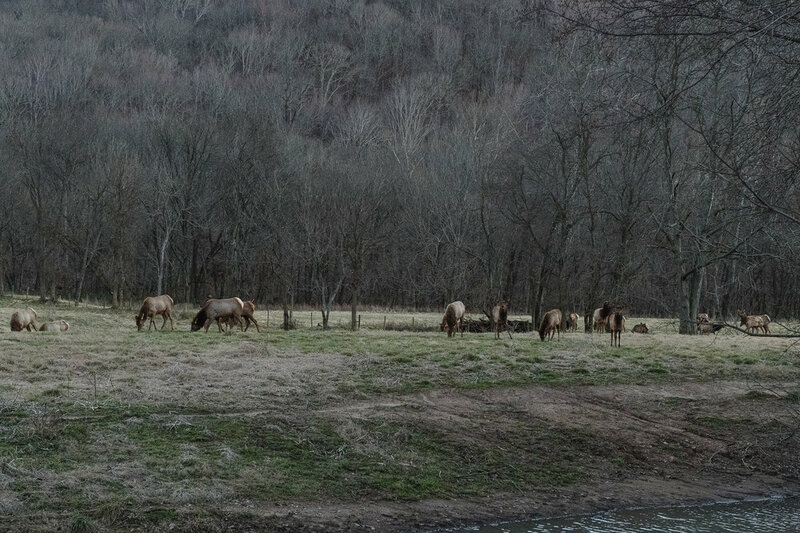 He thought for a moment, then replied that he loved climbing around the bluffs and seeing the elk, before asking me what my favorite part of the day had been. I told him that I loved seeing the elk, too, but that I also loved the views that we were rewarded with at the end of the trail and how the whole day felt like being on vacation. We finished the trip home in silence (and more yawning), each of us lost in our thoughts and memories of a wonderful day spent outside. 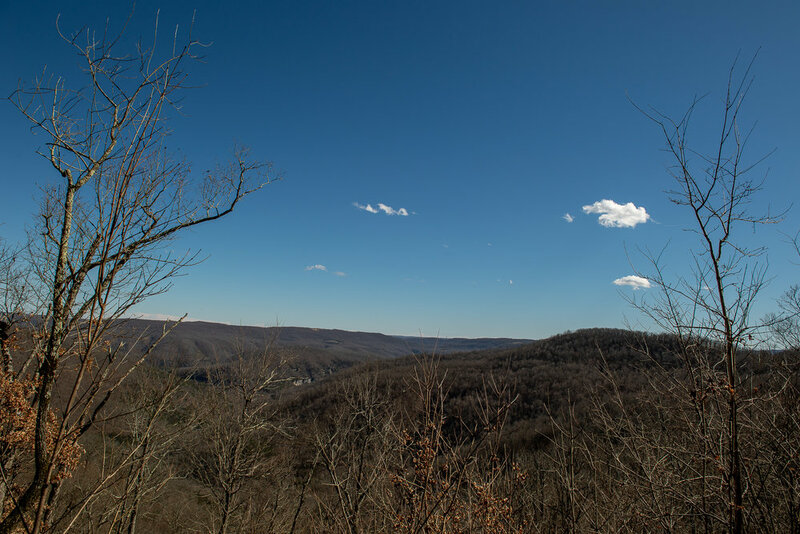 This past weekend, we had unseasonably warm days, with temperatures in the mid-60’s, abundant sunshine and crystal clear blue skies. 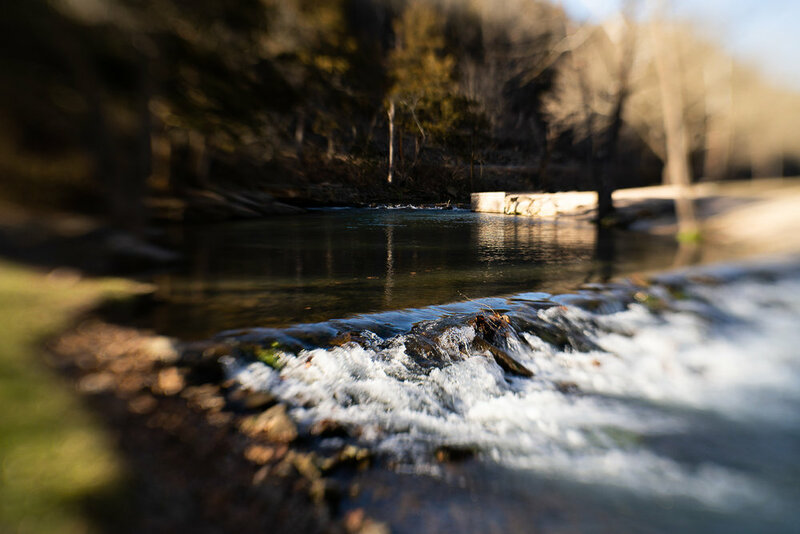 David and I took a late afternoon adventure to Roaring River State Park in southern Missouri on Saturday, a place that we discovered by accident a few years ago while taking a motorcycle ride. 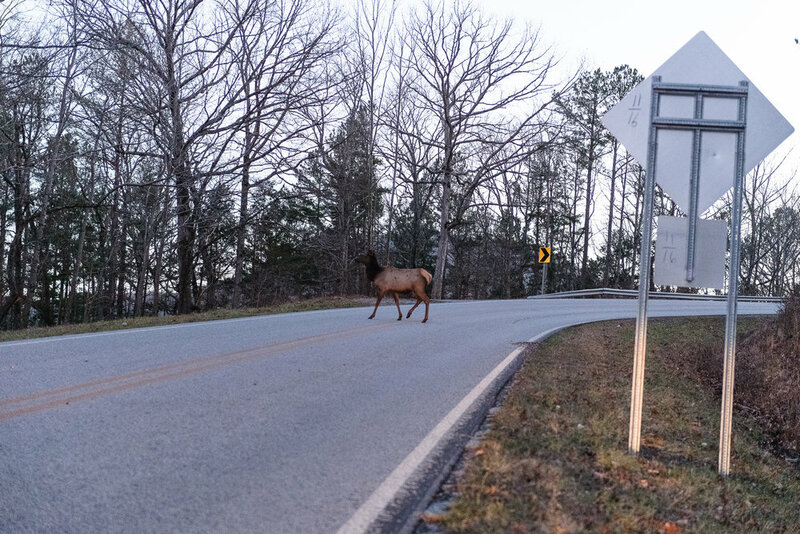 The park is located in the Mark Twain National Forest, part of the southern chain of the Ozark Mountains and it’s a beautiful drive getting there. We wound our way around twists and turns, passed scenic overlooks and pastures dotted with cattle and horses. When we arrived at the park, we found a short hiking trail along the river that led us from the parking lot where we had parked over to the main part of the park. 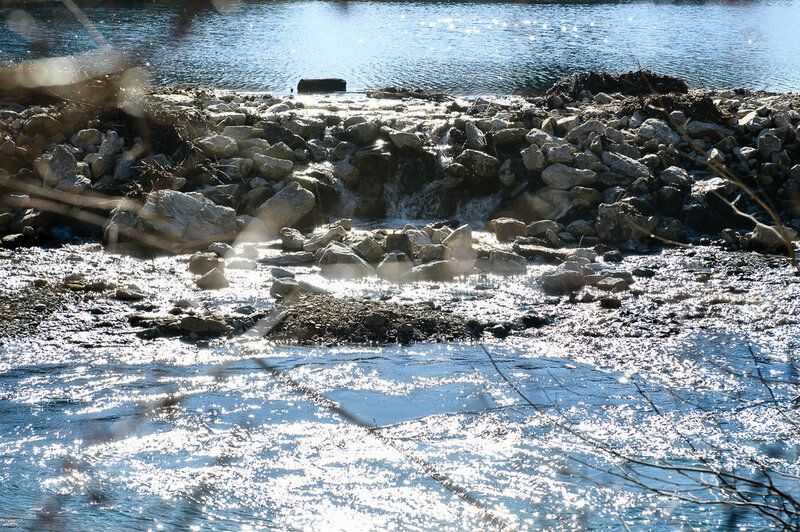 We passed rapids and bluffs, people throwing rocks in the water and playing in the small park across from where we were walking, everyone happy with the beautiful day. I think even the river was happy to have the warm sunshine glinting off its back.